Ahhhh, autumn is finally here! And with the arrival of autumn, leaf peepers everywhere eagerly await the smorgasbord of color that will undoubtedly adorn the trees in Charlottesville & Albemarle County. This colorful cloak of leaves marks the end of another hot summer season, as the transition to winter looms in the distance. Luckily for this region, the transition from summer to winter provides us with a dazzling display of color that we can enjoy for several weeks to come! 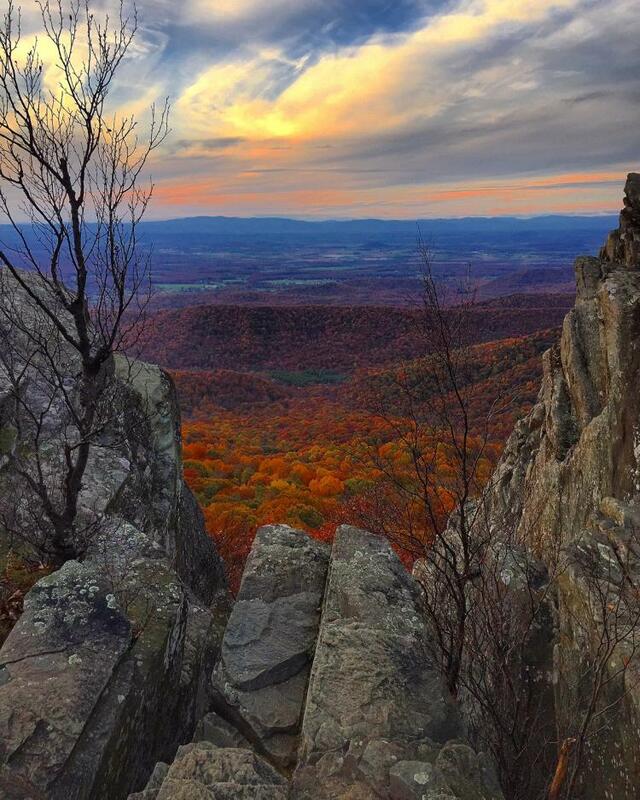 So let’s talk about the top 5 places to enjoy that fall foliage in Charlottesville & Albemarle County! Sure, this one might seem like a no-brainer, but even if you’ve made the trek to either one of these famous drives a million times, the trip is always just as spectacular as the first time you made it. Each autumn season brings its own unique display of color. Some years it’s more vibrant, some years it’s a little bit more subdued. But regardless, a trip up to these scenic drives and their respective overlooks will provide you with plentiful spots to be “wowed” along the way. 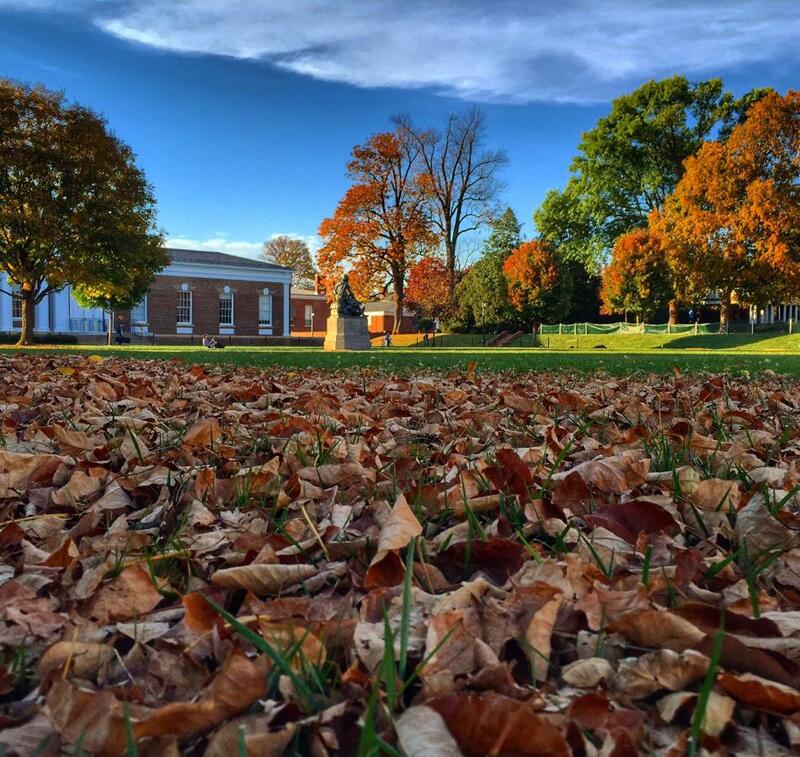 The University of Virginia is picturesque no matter the season, but when it comes to fall, the views are nearly impossible to beat. The Lawn explodes with brilliant yellows and reds, beautifully complementing the iconic Rotunda and the Academical Village. Over by the chapel, you’ll find a dazzling display of yellows on the Pratt Ginkgo tree. 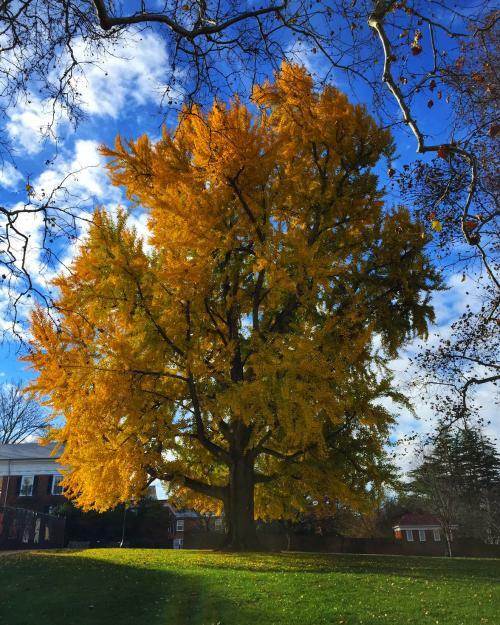 Named for William A. Pratt, the University’s first superintendent of buildings and grounds, this tree was planted in 1860 and its colors have been delighting people ever since! A trip to Grounds at this time of year will never disappoint! Charlottesville’s historic Downtown Mall is a must-see spot during the autumn months – and for good reason! Enormous trees tower up from the center of this pedestrian mall, providing cooling shade during the summer months, but when the nights start to get cooler, the leaves serve a different purpose. Hues of yellow, orange and red replace the summer green, giving shoppers and restaurant goers something extra to look at as they walk around exploring the downtown area. Don’t forget to have your camera or smartphone handy so you can take a few pictures of the fantastic foliage! Charlottesville and Albemarle County have a rich history with vineyards and wine – dating all the way back to the days of Thomas Jefferson! While you can enjoy these vineyards and the product of these lovely grapes all year long, spending some time at one of these wineries in the fall is a treat like no other. The vineyards are transformed into cornucopias of color. Not only do the leaves on the trees change their color, but early in the season, you’re even treated to the grapes going through a colorful transition of their own! 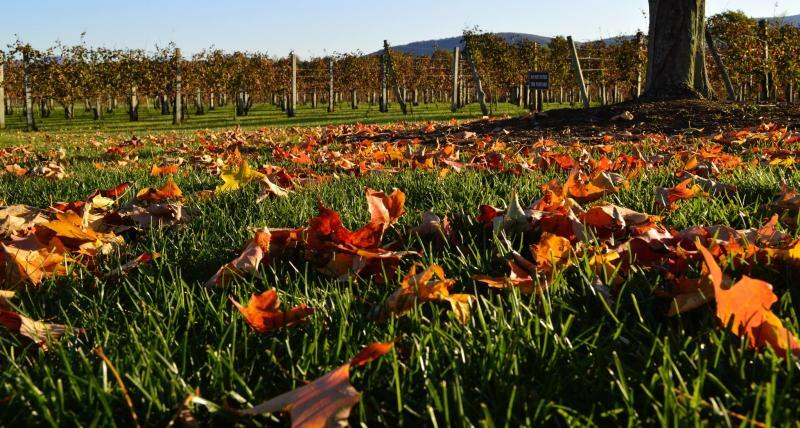 Pour a glass of Chardonnay or Merlot and savor the beautiful tranquility of autumn at an area vineyard. “Country roads, take me home…” John Denver really said it best in his classic hit! 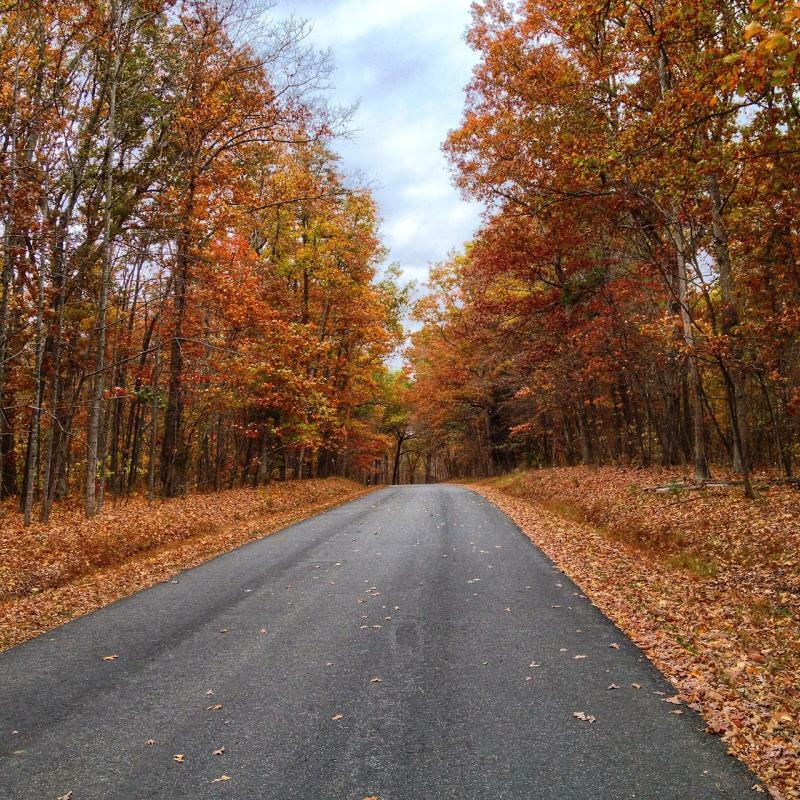 When it comes to fall foliage, there really is no better place to see all Mother Nature has to offer than by exploring one of our area’s winding country roads. 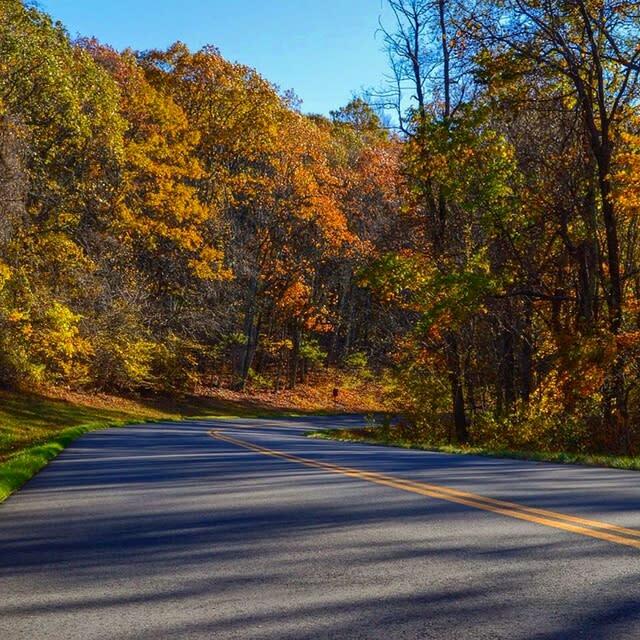 A few personal favorites include state route 231 in eastern Albemarle County, or the equally gorgeous state route 810 which gently winds its way from Crozet to White Hall in the western portion of the county. Take a drive out into the pastoral countryside and discover places you never knew existed, while seeing pops of color that are sure to take your breath away. Devote an entire afternoon to taking the road less traveled and spend some time getting lost in a sea of colorful leaves and meandering country roads! 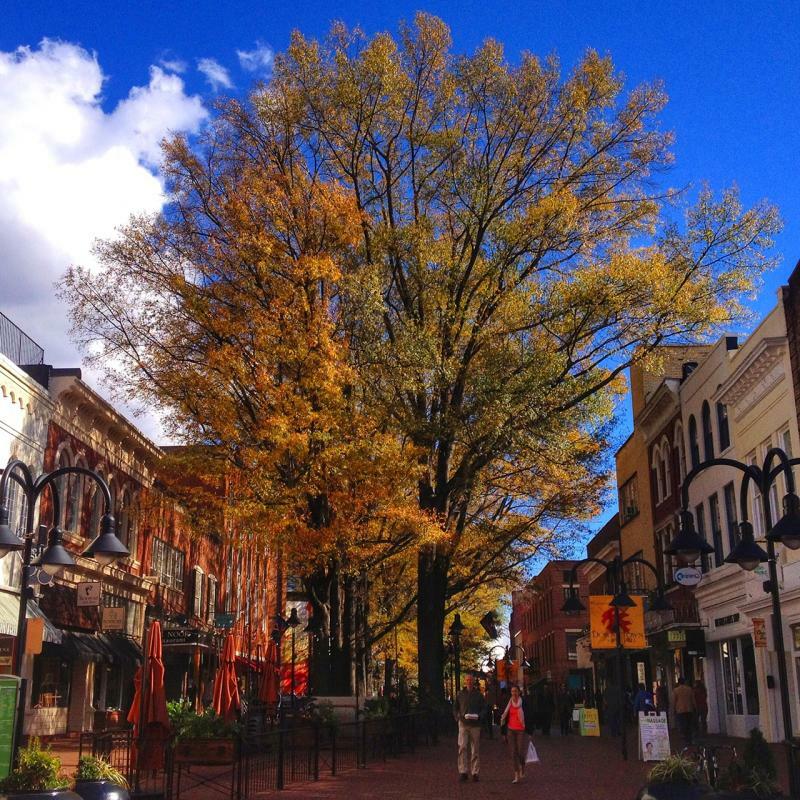 So there you have it – a list of the top 5 places in Charlottesville & Albemarle County to enjoy the best fall foliage our region has to offer. Of course, this list is by no means comprehensive. There are many other places in Charlottesville & Albemarle County where you can get your fall fix. What’s your favorite place to view the color in our area? We would love to hear your suggestions! Leave them in the comments section below. Happy leaf peeping, everyone!